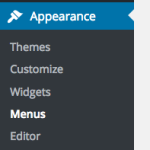 A bit over a year ago I got a question from Margo about how I added sub-menu items to my navigation menu. Well, that’s an option that is not directly related to the Crius Responsive Them. 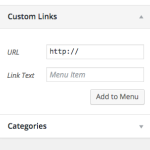 It common to all WordPress themes and is managed via the WordPress Navigation Menues. So, you need to Hover on Appearance and from the sub-menu select Menus. The editing page will then give you something like this. Now you should find a basic menu there made from any pages you have previously created. 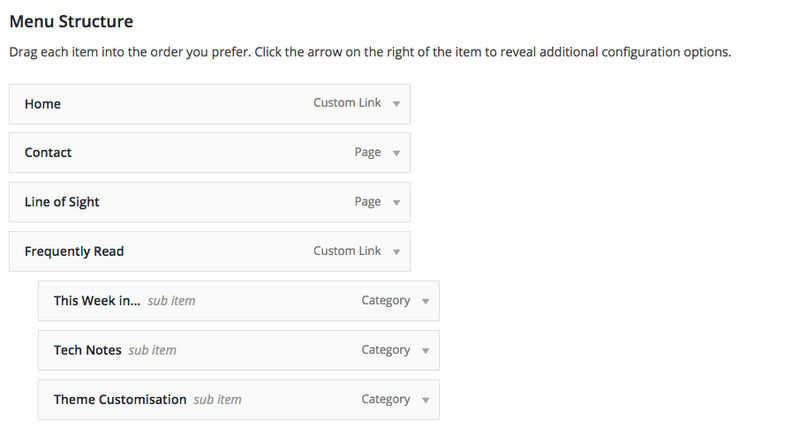 If not you can drag Page Items from the left onto the menu builder box. 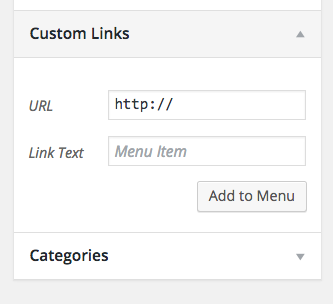 For Custom links you need to open the dropdown Link and then start creating custom links. 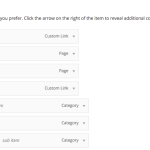 Finally, if you created any categories on your New Posts Editor Page, you can also create links which will filter your content. And that’s about it. Its fairly straight forward and should easily customize into whatever you want, within reason.